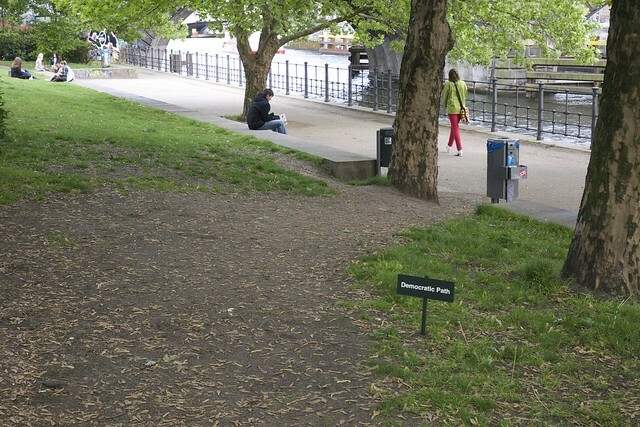 An odd little sign in this park — if it’s not graffiti/street art, it’s something incredibly odd. I chose not to walk down it. 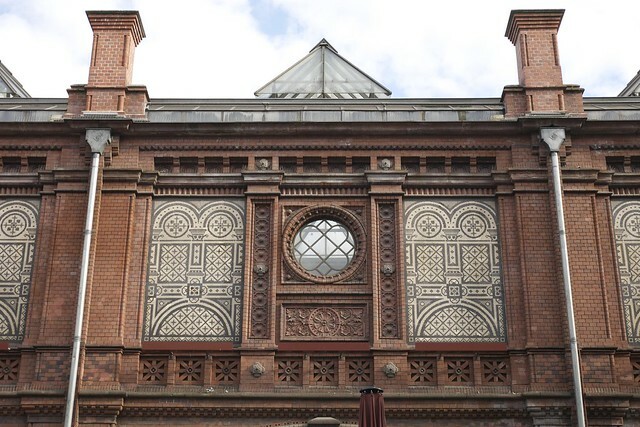 Brick detail along the facade of S-Hackescher Markt — I’ve passed by the station a number of times, but never really stopped to look up and to see what it looked like. They really used to make thing pretty! 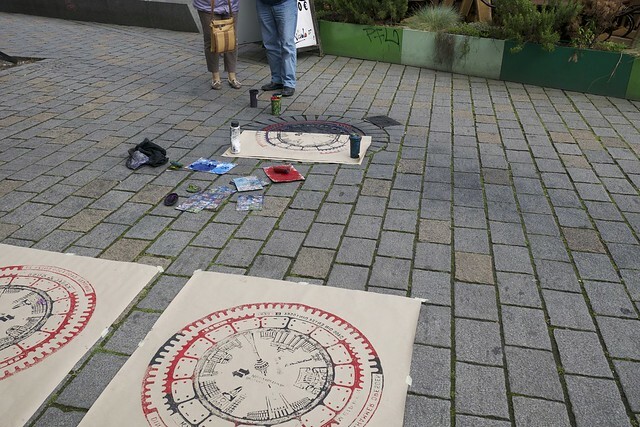 In Hackescher Markt I ran across an artist of the street– an artist who paints a manhole cover and then transfers it to sheets of paper. Incredibly clever and very pretty. If I hadn’t had a lot of stops on the way home, I would have asked how much they cost. I come to Germany every summer, in particular Weimar. I rent a Ferien Wohnung there for a few weeks every summer. I looked for “gay weimar” on google and your old blog post was the only thing that came up. How funny to read about the places you read were cruise spots! 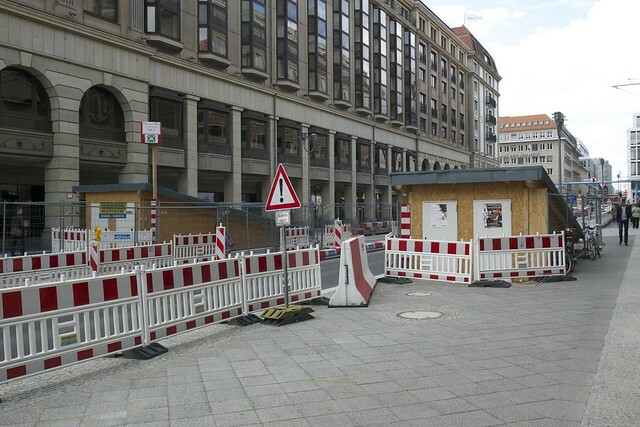 Platz der Democratie – really! I will be flying into Berlin and after a week heading to beliebte Weimar for 3 weeks. In the past 5 years, I too have found nothing gay in Weimar. Bill, I think that there are a couple gay bars now. Or at least there were — one is named “Warm Up” — the other appears to have closed. I’m not sure if Warm Up is still open.